Get your moustache in shape for special occasions with Bombay Shaving Company Moustache Wax, formulated for excellent styling performance, volume addition and frizz-control. 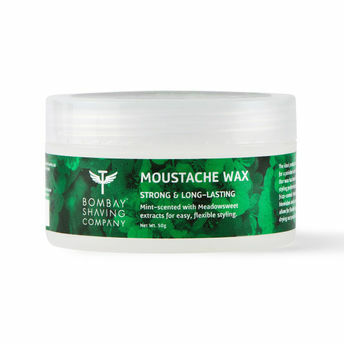 Natural extracts allow for flexible long-lasting hold without drying out your facial hair. Key Ingredients: Castor oil, Peppermint, Meadowsweet Flower.